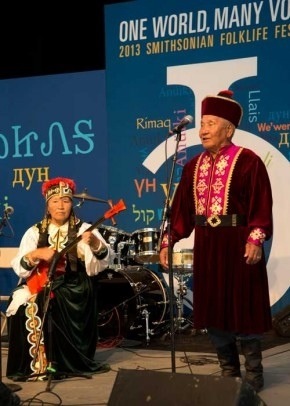 Singers and musicians from the Republic of Kalmykia in Russia perform a variety of song styles, including selections from their epic tale Jangor, which celebrates the conquests of Kalmyk leaders who created an empire that stretched from western Mongolia to eastern Europe four centuries ago. The artists are introduced by K. David Harrison, linguist and co-curator of the One World, Many Voices program. By Kalmyk Brotherhood Society in News on June 28, 2013 .